There is something very special about working in a library. All too often I end up working in my office at home. It is lovely and I do know how lucky I am with my view over the spires of Oxford. However, going to a library is like going to a cathedral of learning. Last Friday I had three hours to kill in Liverpool. The city of my birth – well almost, I was actually born in Clatterbridge hospital on the other side of the Mersey – it is a place I love and feel very much at ease in. I made my way to the Central Library, recently refurbished and only opened in May 2013. http://liverpool.gov.uk/libraries/find-a-library/central-library/. It is absolutely beautiful and I was incredibly impressed by the quality and detail of the workmanship. But what impressed me more than anything else was the atmosphere. The place was alive and buzzing, throngs of readers and visitors looking at books, working at computers, sitting in comfy chairs, admiring the building or just looking vacantly out of the windows. I made my way to the Picton Reading Room, a show-stopping, arrestingly impressive space that houses three tiers of books in a round space with a huge cupola above, and decorated in exquisite industrial age wood and metalwork. At first I just sat and worked but then I found myself caught up in the atmosphere of the place. It is more than a cathedral to learning, more than a temple to the written word, it is a a Pantheon-like space that speaks of the beauty of knowledge. So imbued was I by the power of this glorious reading room that I succeeded in finishing a book proposal I have been struggling with for weeks. Thank you, Sir James Picton (1805-1889), for campaigning for a public library for the city of Liverpool. He argued that public libraries should be supported by public funds as they performed a vital role in society ‘by fostering social unity and cultural harmony’. In 1852 a special act of parliament authorised a levy on a penny rate for the support of a public library and museum. The library and museum was built by Sir William Brown and opened in 1860. 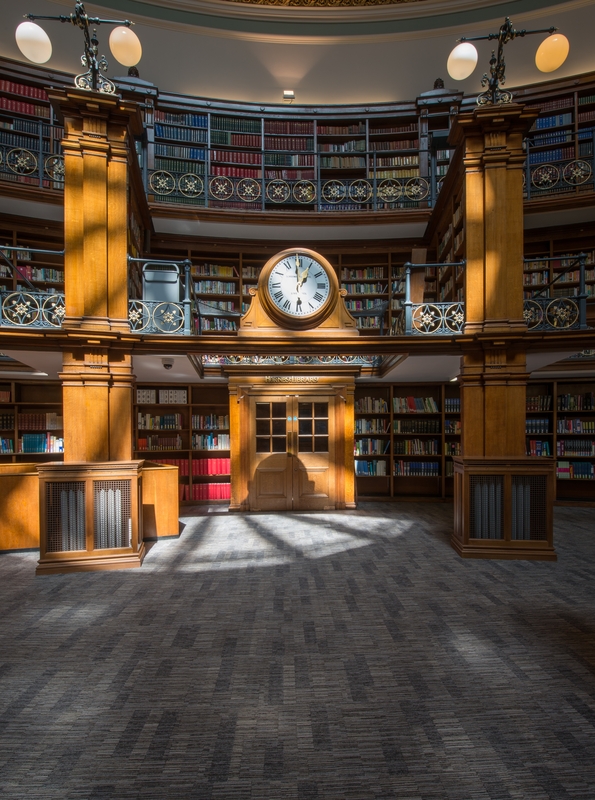 The Picton Reading Room, modelled on the British Library in London, was opened in 1879. Picton became the first chairman of the library and museum committee in 1851 and held the position until his death in 1889. I salute his foresight and belief in the importance of liberal learning.